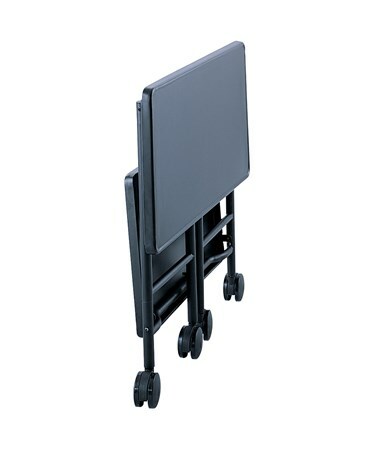 The Safco Folding Office Cart is a sturdy multi-use mobile shelf that can be folded for easy storage and transport. 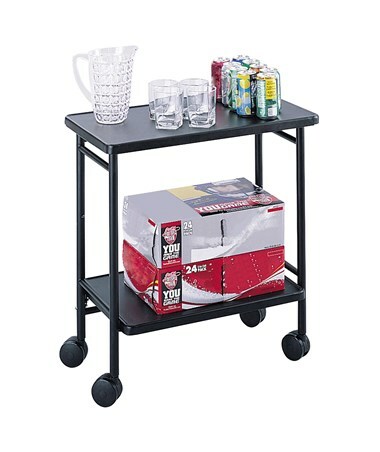 It can be used for storing office supplies and small machines but also doubles as a beverage cart. It has a 26-inches wide top shelf and 22-inches wide bottom shelf and both can hold up to 30 pounds of weight. These shelves fold down with legs in for a more compact unit. Four three-inch dual wheel casters allow this cart to smoothly roll over any surface and two of these wheels can be locked. 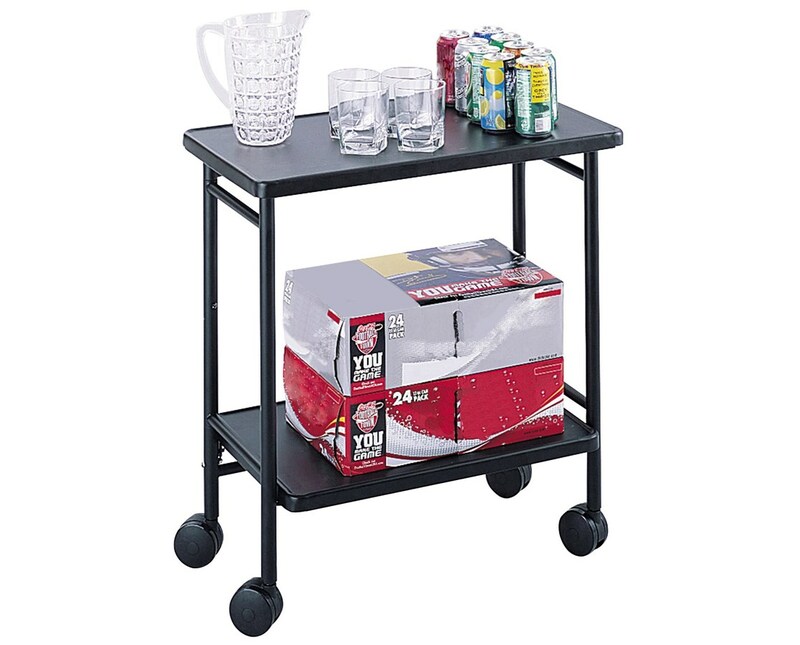 This folding cart is made of steel with a powder coat finish. It is easy to assemble and is safe for indoor use as certified by GREENGUARD.